Well the last day of 2010 and what a year it has been for Philofaxy. For me the year started off fairly low key, but then we got to about April and the horse sort of bolted out of the gate and I've been on a high ever since. In May my wife Alison (the hand of Philofaxy) and I moved to France and in September we celebrated our 25th wedding anniversary. In August Laurie and her family moved to Scotland.... just before it started to snow! The Yearbooks have been well received... 2010 Yearbook will be published soon. 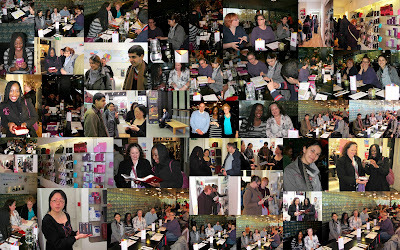 In October we also celebrated our 5th birthday with a post from the founder.. thank you Philofaxer. And finally this week saw the posting of the Filofax Buyers Guide. Another thank you to all of you who have supported our charity donations to Breast Cancer Awareness during 2010 and in to 2011. In terms of my own usage of Filofax organisers I started off the year using my A5 as my journal and my Slimline Personal as my appointments diary/wallet. Then I created total chaos in August by swapping to the Pocket size for my appointments diary/wallet and posted several posts about the change over! Sorry if I caused you any grief with all these changes, but I think a few other people made similar changes too. For 2011 I'm in the process of moving up to my new A4 Classic as my desk journal / planner. Time will tell if this size will work for me or not, you can be sure I will post about it. In doing this very quick review of 2010 it has been difficult to know what to include and what to leave out, so many posts to look back though. Thank you all for your comments and contributions during the year, it has been great fun for me and I hope just as enjoyable for you. All the best to you and your families for 2011. Time for one last post of 2010... of course there is! 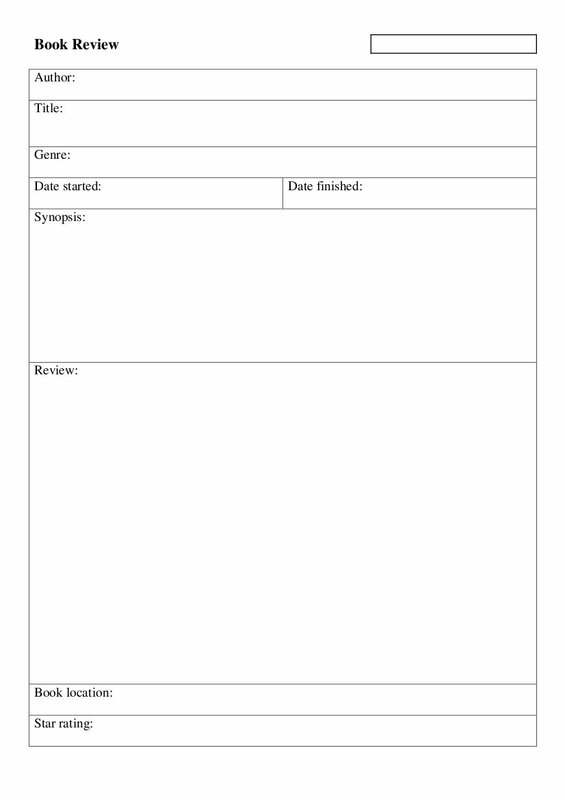 Thanks to Amanda for sending us another great template, it is one she has been using for book reviews for a few years. I'm going to print it off a couple of these because I've recently got 'Filofax Facts' by Ian R Sinclair that I'm going to do a review of it for the blog in the next week or so. The Book Review template is now in the Files Page. Once again many thanks Amanda. Wow, FFAF number 111, and tomorrow is 1/1/11!! Cool!! 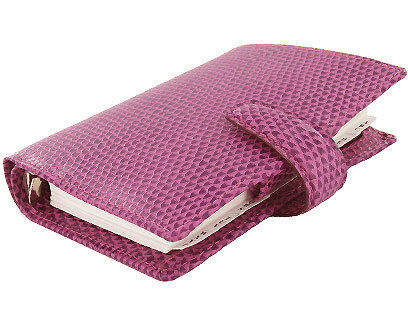 How have you revamped your Filofax in preparation for the new year? As always on Fridays, the floor is open for you all to discuss anything Filofax-related! Well it seems that getting a new Filofax as a Christmas present was quite a popular choice this year, well judging by the number of blog posts we have seen and mentions on Twitter. We are getting very close to the New Year, so may be it is time to sit down and plan out your goals for the forthcoming year. These goals can be anything such as lose 30 lbs or kgs in weight, learn to speak a new language, sort out your digital photo collection. Anything that is personal to you. Having them in a chart in your planner helps you tackle these goals and helps you achieve them without exhausting yourself! I like to write maybe just one or two big goals in each quarter-year, then use the month and week bits to 'project-manage'. 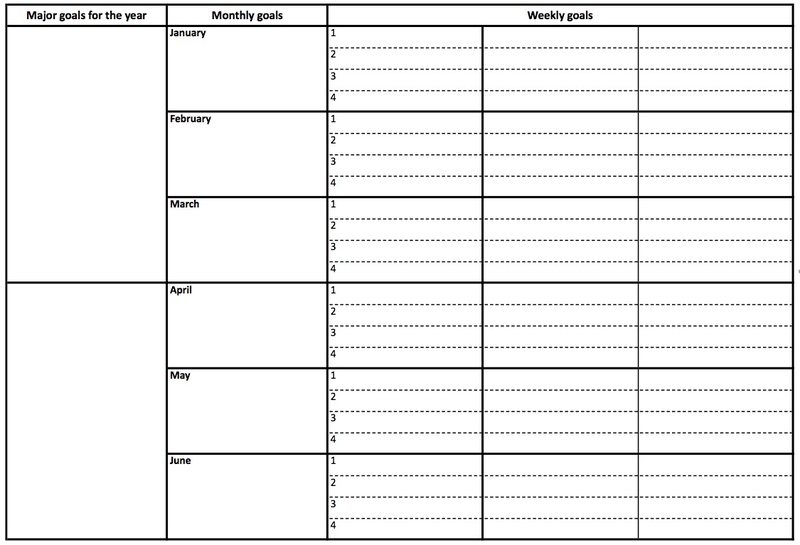 The weekly goals then get slotted into the diary/planner (so they have half a chance of getting done!). It's not foolproof, but it might help some. I have found that just writing my goals down isn't enough for me - I then need to do a bit more to make them happen! The files are set for A4 but they will 'Z fold' in to an A5 without any problems. 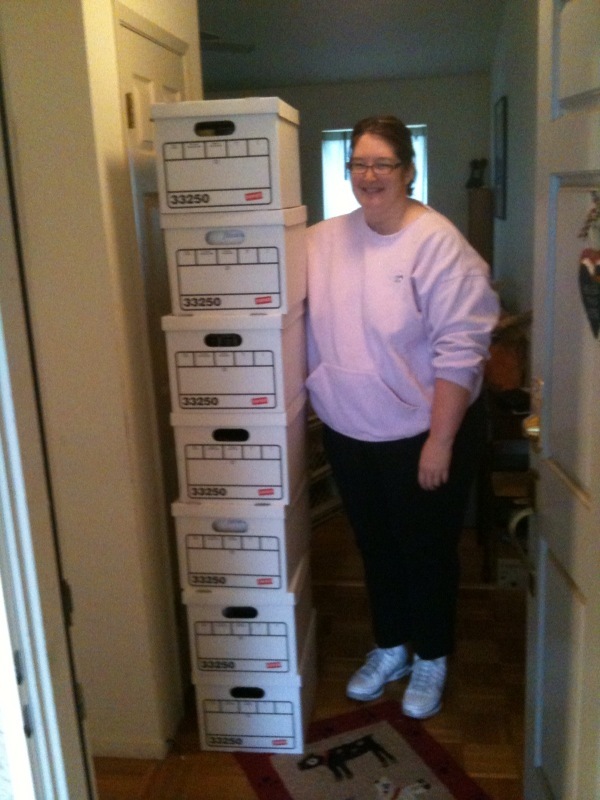 Thank you to Amanda for sharing the files. Though out this guide you will find links to other parts of the Philofaxy site to relevant articles and other information. The Filofax Organiser has not changed in the way it functions since it came in to existence back in 1921, but the number of users has grown considerably in recent years. 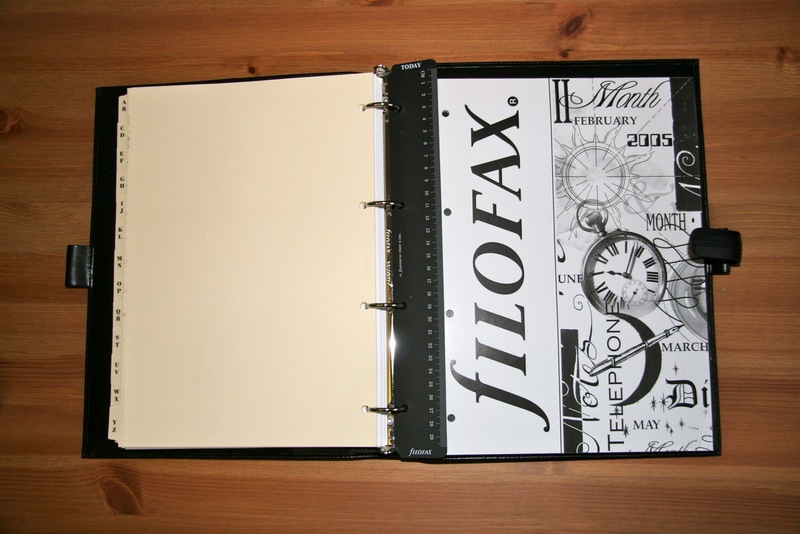 The history of the Filofax Organiser and the company has been documented by one of our readers Kevin Hall. The Filofax first became popular in the 1980's the pre-mobile phone era! You can personalise it - eg. all Blackberry(ies?) look the same! 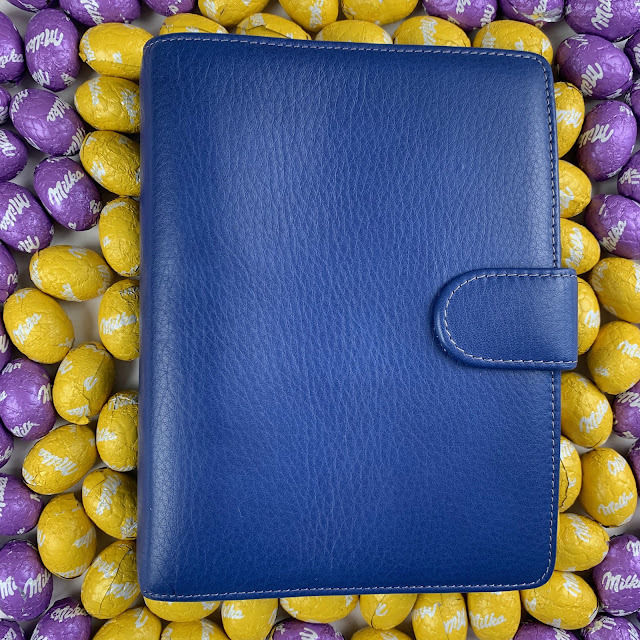 We all have our favourite reasons for using a Filofax or coming back to using a Filofax. Yes there is quite a range now. They come in five different sizes (Mini, Pocket, Personal, A5, A4) within those different size ranges. 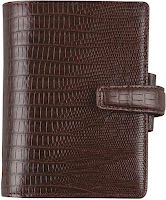 You will find that there are also variations on the ring sizes, the material used for the cover (Leather and non-leather), the internal layout of the organiser (pockets, zip pockets, credit card slots etc). There is a large range of styles in each size and obviously there is quite a price range from tens of £ $ € to thousands of £ $ €, but in between those extremes there is something for everyone. So looking at each size. The Mini is the baby in the range, it has five equally spaced rings in the organiser and the spacing is the same as the Pocket size. The Mini page size is 67mm by 105mm, which is about an eighth of the size of a sheet of A4 paper. The Mini is quite small but a useful size to slip in to a pocket or bag. Because the Mini has pages that have the same hole spacing as the Pocket size it means that pages from a Mini will fit in to a Pocket size Filofax. The next size up is the Pocket this has six equally spaced rings; it has a paper size of 81mm by 120mm. 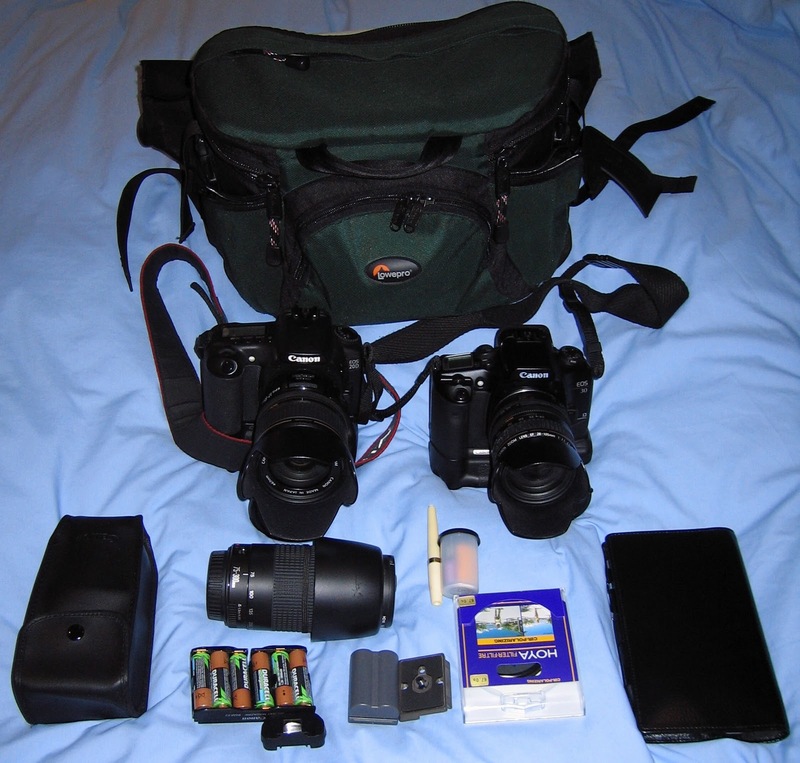 Like the Mini is quite compact but again a useful size for your pocket or bag. Both the Pocket and Mini lend themselves well to being used as a wallet or purse combined with also being used as an appointment diary and for keeping notes and to-do lists. A page from a Pocket will clip in to a Personal size with just the bottom corner folded up. We then come to the Personal size, this is the size most people will recognise as being a Filofax, and there are 6 rings in two groups of three. The Personal size is also used for the Slimline style of Filofax organiser, which uses the same size paper, but the organiser has much smaller rings. The paper size for the Personal is 95mm by 171mm. The Personal size has the largest number of organisers in the range and paper and diary refills also. So if you are just buying your first Filofax this might be a good place to start. Again the price range is quite wide, but we will come on 'where' to buy your Filofax from later in this article. The next size is the A5, which for some people is too large to carry around. The A5 paper size is 148mm by 210mm, exactly half the size of an A4 sheet of paper. 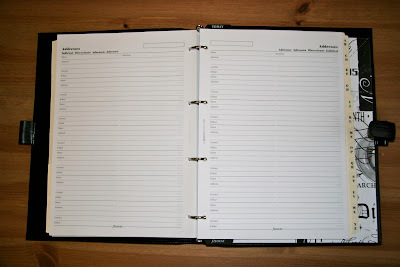 It lends itself well as a desktop or counter type organiser, for holding reference information and family organisation. Being a standard paper size means that you can print your own inserts quite easily from your own computer and printer. To print to A5 you can do a simple booklet print, then cut the page in half and punch it. 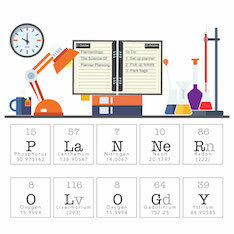 There is a large number of templates in our files area which will all work in the A5 size. The largest size Filofax organiser is the A4, which has a paper size of 210mm by 297mm. The A4 only has 4 rings, but they are standard 80mm spacing. This means that pre-punched paper and punches are readily available in a lot of stationary shops in Europe. Please note that this size of organiser is not currently sold by Filofax USA, lack of demand and the availability of that size of paper in the US possibly being the reasons. 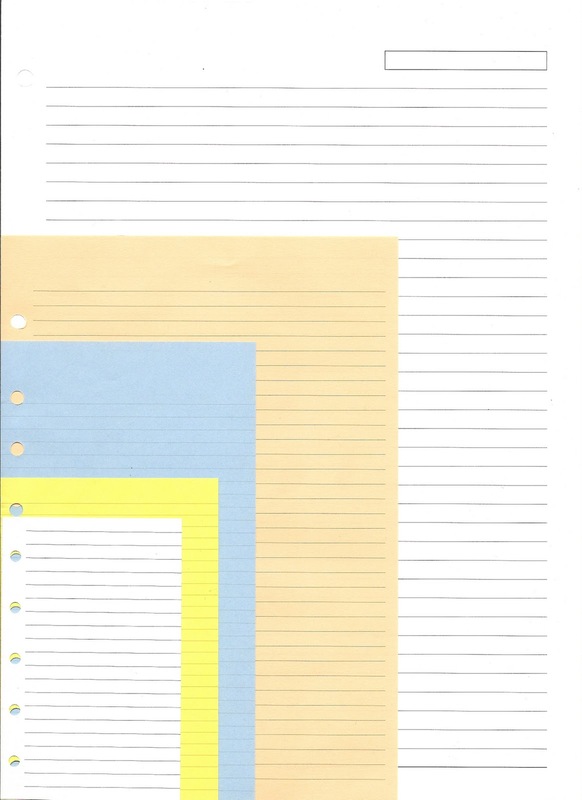 The picture to the right shows the comparison of the different page sizes when over layed on top of each other, starting from the smallest white page which is Mini, through Pocket (Yellow), Personal(Blue), A5(light Brown) and the largest A4(White). Philofaxy has a very comprehensive guide to the full world wide range of organisers detailing the ring sizes, retail prices, material used etc. It's kept in the Files page of the site. Where to purchase your Filofax? 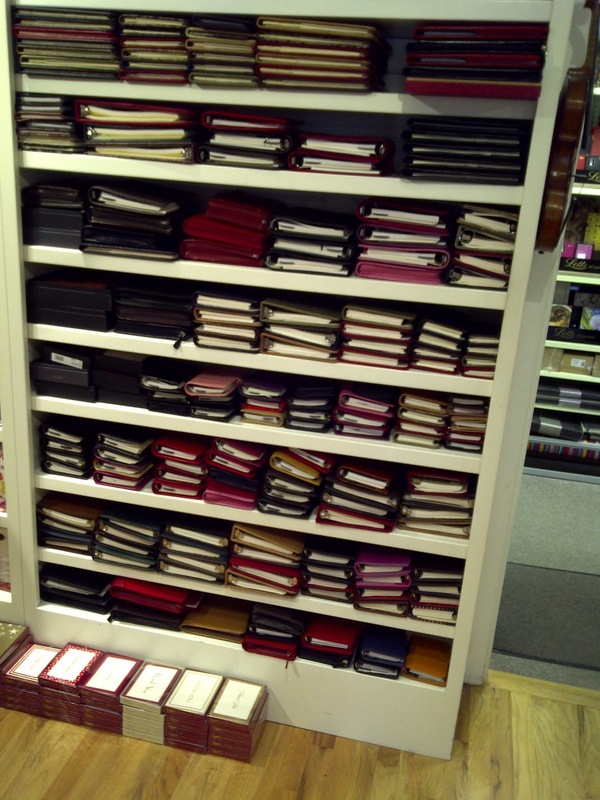 So once you have decided which size of Filofax is going to best meet your needs, where do you buy it? Well in the Philofaxy Suppliers page there are plenty of links to different suppliers around the world. Postage on these items can be quite high because of their value and bulk so it's best to always try and buy within your own country if you can. Do shop around because prices do vary. You might also consider Ebay, but a word of caution. Like anything on Ebay you are dealing with people that might not know a lot about the product, so if there is any question about the description of what is on offer make sure you ask plenty of questions. I have seen things described, as a personal Filofax when in fact is was pocket size. If the price looks too good then there's most probably a reason why it is. Caution when using on line auctions, especially when you see lots of items that say Brand New In Box (BNIB), because they are buying them from somewhere to then sell, you can most probably be able to do the same! The current range of available styles and colours and sizes changes each year, so if you see a particular style or colour you totally adore, buy it when you see it, because it might always be available. 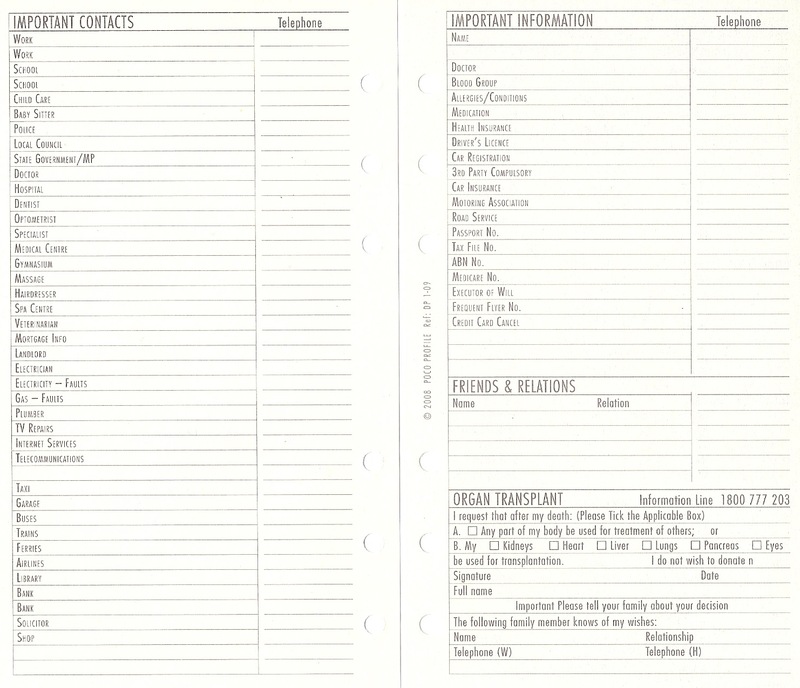 If you are buying a new Filofax it will come with most things you need to get started in terms of paper inserts. These will include normally a diary (format might vary on the size of organiser you buy), some lined paper, to-do list pages, financial pages, address pages, dividers etc. 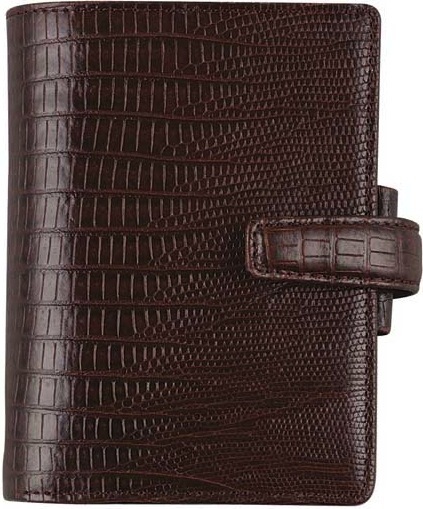 Check the Filofax website for the full detail for the particular style/size you are buying. You will obviously need a pen or pencil to go with your Filofax. Some people prefer to use pencil for appointments because you can erase it should the appointment change. Pens can be used for say permanent entries, journal entries. Your choice of pen (ballpoint, fountain, rollerball etc) is obviously a very personal one, you will know already which you prefer. Beware the paper in Filofax tends to be quite thin, so it's advisable to test out a selection on pens on a blank sheet of Filofax paper before you settle on a specific pen. Also check that your choice of pen will fit in to the pen loop, on some organisers this is elasticated so you will have a wider range of pens to choose from with these. Some people use multi colour pens for highlighting different types of appointments. 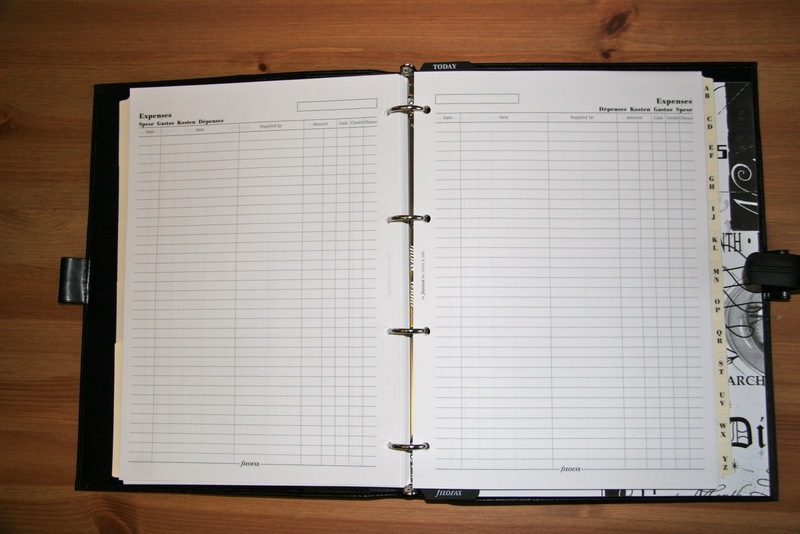 If you want to insert your own pages or pictures in to your Filofax you will need a suitable paper punch, we have covered this topic extensively in the past so take a look at the punch posts and the links within those posts. If you are going to be doing more than just an occasional page it is worth investing in a metal punch rather than the simple plastic ones sold by Filofax. Again the Philofaxy Suppliers page has numerous links that will help you find some of the more specialist items. This section wouldn't be complete without suggesting that you will no doubt start thinking about your next Filofax if you get hooked on them. One is never enough for most people! The various surveys and reader profiles will testify to that!!!! Which diary format to use is a very regular topic on Philofaxy, it is one of the biggest causes of anger/angst amongst the readers including our long standing and most experienced readers/users. Does the perfect diary format/layout exist? I suspect in about 80% of cases most people can work with what is offered in whichever size of organiser they are using. But if you are someone who has a very busy life style/work schedule then your diary is going to start looking very crowded very quickly. Or worse your life style changes mid year then what do you do? 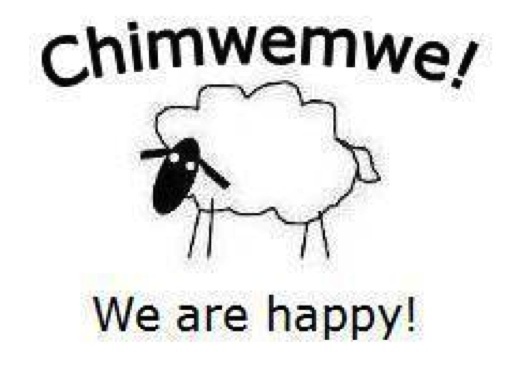 So that was the bad news... here is the good news.... well sort of! 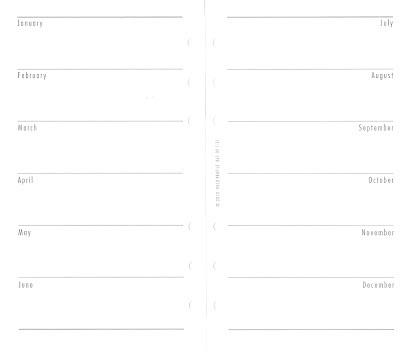 There are also horizontal and vertical format year planners. Not all of these layouts are available for all of the different sizes of organisers. 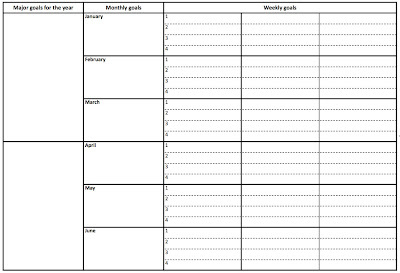 Again check the website for your particular size of Filofax organiser. 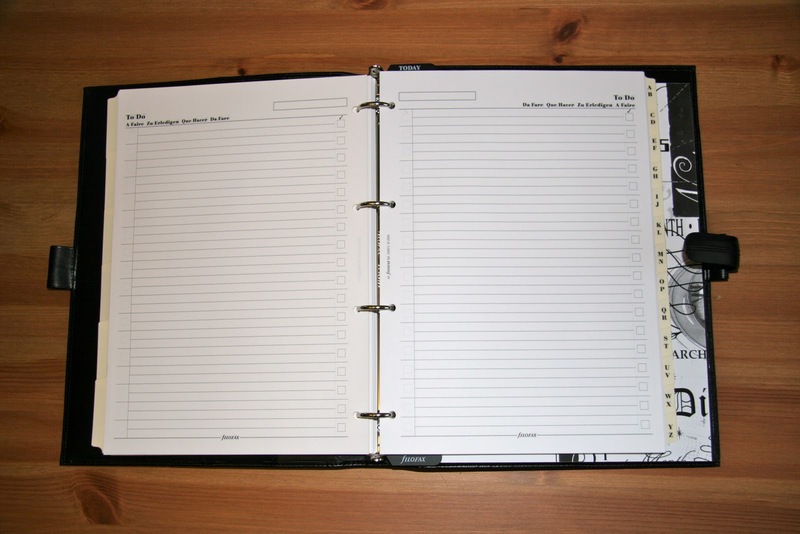 Filofax also make diary inserts in English and multi language formats. If English isn't your first language check out the Filofax site in your country/region they have ones specific to your region and sometimes layouts specific to your region too. 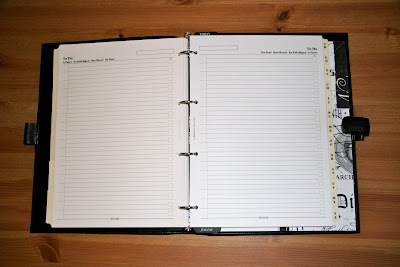 The weekly diary refills come in horizontal and vertical formats again depending on the size of organiser. Start days of Monday or Sunday. Academic refills start in August and run for twelve months. If the Filofax diary refills aren't exactly what you want then ones from other companies also fit the Filofax Organiser range, these are from Day Timer, Quo Vadis, Franklin Covey. Our FAQ page has the details of what size fits which Filofax Organiser, the other companies don't use the same sizes or ring spacing in all formats although in some cases they fit the Filofax perfectly both for size and ring spacing. We have reviewed and used a lot of these alternative formats and the reviews are worth reading if you are looking to branch out from the Filofax range for your diary but still retain your Filofax organiser. Need more information or help in choosing? The contributors and the readers of Philofaxy are the biggest and most experienced group of Filofax users you are ever likely to come across. There is quite a community spirit that has built up over the life time of Philofaxy and everyone is always willing to help and answer questions, no matter how many times that question has come up before. There are several ways of 'tapping' in to the global Filofax knowledge base (a fancy title I know!) On the blog you can email the contributors, or each Friday we have a 'Free For All Friday' post where anything Filofax related can be discussed, just post a comment in that post. There is also a Google search box at the top of the blog, which can search through all of the posts going back over five years. We now have 'Yearbooks' of each years posts so you can read past posts away from your computer. These also include the comments to each post and there is a lot of useful information contained in the comments of posts. The Yearbooks are available on our Files page in PDF and Epub formats so you can also import them on to your ebook reader (Kindle etc). The Yearbooks have the advantage in that you can search through the posts and the comments. Each month we hold a 'Roundtable' discussion for about 1-2 hours on Skype, these are 'advertised' on the blog about a week before the next one. You don't have to speak if you don't want to, you can log in and just listen or log in to the instant messaging side of things. There's no set agenda for what will be discussed during these chats, but they are great for asking questions and in some cases getting instant answers! We have also had one UK Philofaxy 'face to face' meet up and we know of at least one other taking place in the US. These meet-ups are likely to happen in the future and judging from the feedback from the UK one are likely to happen again in the future. There is a very active Philofaxy Flickr Group with hundreds of photographs and also a discussion group area. If you get confused by the abbreviations used on Philofaxy or in the comments people make, we have created a Glossary for you to 'decode' the mysterious letters. How do I know when there is a new post on Philofaxy? Add the blog to your favourites or make the blog your homepage! So as you can see there's more to buying a Filofax Organiser than you might have first thought, but there is a wealth of experience, knowledge and friendly people to help you find what you want and also help you with using your Filofax. I hope you have found this guide helpful please add a comment or email us if you have any suggestions for additions or changes and we will make suitable amendments to the document/post, I will increment each amendment. Well as you can see from the 'side bar' totaliser our donation has just gone past £50 and there is still all of January to go for that total to climb even higher. I'm not going to make any predictions as to what it might climb to, because I just want it to be as high as possible. I'm also pleased to announce that Nickie over at Typecast has joined our contribution by including a Filofax link on her blog to the same account so anything bought via her site is also adding to the contributions. If you would like the code to do the same on your own site please contact me. 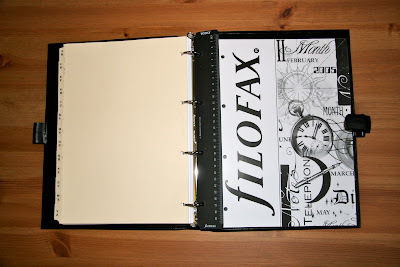 The commission is earned on all sales placed on Filofax UK via Philofaxy ads like the ones below. It covers all items on their site nothing is excluded so even if you only buy a pen refill, or a top of the range organiser they all contribute to the donation total. Non organiser products such as bags, conference folders etc are also included. Look out for further announcements and forth coming offers. It may not compete with the Filofax UK winter sale, but folks on my side of the pond can get free shipping on orders over $55 at Filofax USA. 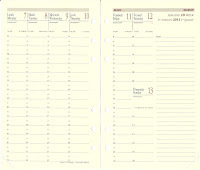 Now's a perfect time to buy 2011 diary refills if you haven't already, buy a new organizer, or consolidate a big order. We all love seeing how people use their Filofax Organisers other than just using them for trying to organise their lives and keeping a list of their friends phone numbers and mailing addresses. So it was great to receive an email from 'Nellie' this morning showing some great photos of her red Deco... stop and read the text before you go madly scrolling down!!!! Santa was good to me and bought me a super new Ruby Deco which I am using as a Book-o-Fax to keep a track of my reading, and work for my book blog. The Deco is totally dedicated to my reading. The financial section will remain blank, I don’t want to know how much I spend on books each year!! Making the personalised pages for each section was really quite easy once I had worked out how to set my printer up. I am happy to share the files if anyone would like them. [Now available on Philofaxy in .pptx and .pdf] Attached are some pictures. 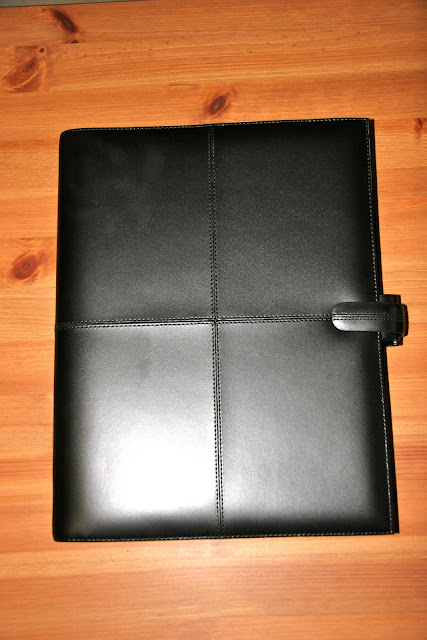 Thank you Helen for sharing your new Filofax with us and all the pictures. And also visit her website. Erin sent me this photo from Spencer's in Carmel, California. What a great selection of Filofaxes! Thanks for the photo Erin!! I heard an interesting story on NPR (National Public Radio here in the U.S.) this morning. It hit home, because I already planned to spend the day organizing my daily priorities for next year. If you click that link, you can hear and read a transcript of an interview with John Kralik, author of 365 Thank Yous: The Year A Simple Act of Daily Gratitude Changed My Life. Kralik decided to write one Thank You note every day for the year 2008. It started out like any other new year's resolution, but it turned out to be a catalyst for positive and much needed changes in his life. If any of us plan to try to same resolution this year, I bet we'll use our Filofaxes to keep track of the list of notes, recipients, and results! We are approaching the end of the year. If you haven't decided yet on which diary format to use next year, may be you would like to try something you have printed yourself. Earlier this year I did a post about printing your own calendar from within MS Outlook. If you are printing for A5 format then you will find my post on booklet printing essential reading. 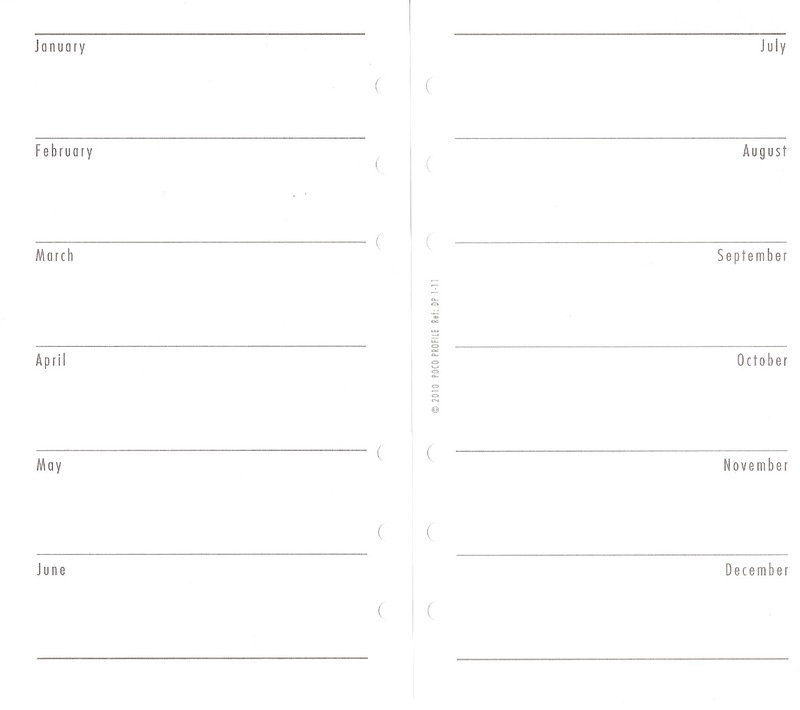 Whilst researching diary options for my new Filofax Classic A4 organiser, I came across a site that you could create your own printable diary in A4 format. These will also booklet print to fit A5. So I have created a few different formats to try out. 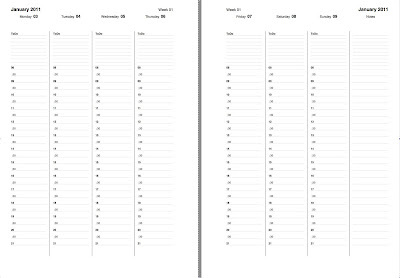 They are all a week on two pages with the days in vertical columns. The differences should be self-explanatory. I've done them in hourly and half hourly appointment intervals, and with appointments between 08:00 to 19:00 or 08:00 to 21:00. 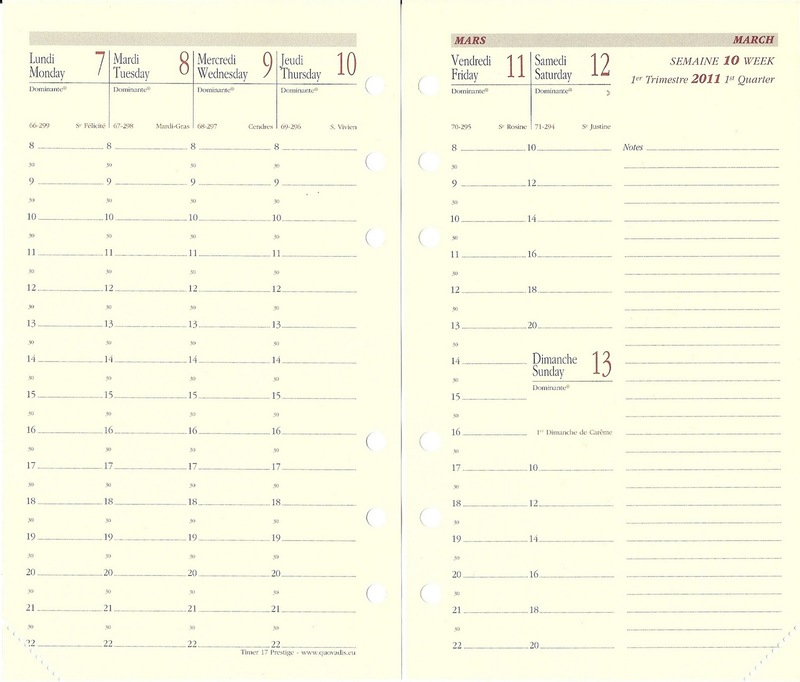 Each one has a notes column on the right hand side and To-Do areas for each day at the head of the each column and a blank notes area at the foot of each day column. Using the shorter appointments span just gives you more space at the foot of each day column. I've put links to the files in the Philofaxy Files area as well as the foot of this post. If you would like a slightly different set of appointment times or a reduced number of To-Do's please let me know. When? - Sunday 2 January from 11am (US East Coast time), 4pm London time, 5 pm Paris time etc. As with previous round-tables there will also be a parallel text chat room going at the same time as the voice conference, although I find it too hard to take an active part in both! Hope to be chatting with you next Sunday, let's all share what we have been up to over the holidays. So imagine my surprise and delight when in my Christmas cracker today, out fell this miniature 4 colour pen. In the photo the larger one is a regular size one, the small one will be ideal for a Pocket or Mini Filofax of course. 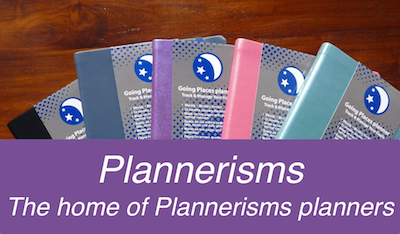 I was reading Laurie's post recently on Plannerisms about the Bic 4 colour pens and how she uses them on her planner. Whilst looking for the Bic 4 colour pens on Amazon, I also came across the Pen clips that might be useful for an organiser where you need more than just one pen loop. I hope you are having a Happy Christmas. Well it is that time of year after all.... Filofax have started their Winter Sale today with up to 50% off selected items, but only while stocks last. Click on the graphic below and you will also be contributing to the Breast Cancer Awareness Donation from Philofaxy. Santa's elves have been busy wrapping Filofax Organisers as well as pens and bags, I hope one of the parcels has your name on it. Whatever you are doing I hope Santa is kind to you tomorrow morning....and the children don't wake you up too early. But being that it is a Friday, you can of course discuss anything Filofax related. Happy Christmas to all our readers from us all. Christmas: The time when everyone gets Santamental. "Hi my name is Loulou And I am a Filofax addict." 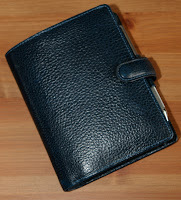 Check out Loulou's post Uh oh Filofax is calling again on Modern Musings blog. She lists her Filofax purchases so far this year, and agonizes over whether to buy the on-its-way-out Deco. I couldn't resist adding my two cents in a comment on her post! Getting up close & personal with the 2011 range - exciting! What would you like to see next year...? Personally I would like to see the Malden in A5. So what would you like to see? With different seasons for the months of the year compared to us in the northern hemisphere comes the problem of your diary is going to be very different to say a UK or US one. Different national holidays, school terms being very very different... your summer holiday (vacation) with Christmas in the middle of it!. 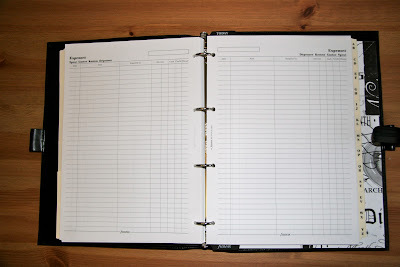 However, it is not a problem, because there is a local company (Poco Profile) that has been producing some very nice personal organisers and diary refills since 1989, these days they are all typeset and printed in house. The size is the same as Filofax Personal and Pocket. Victoria at Poco Profile kindly sent me a couple of samples of their personal week on two page diaries in both bright white paper (70 gsm) and in 100% recycled paper(80 gsm). I have to say at first I thought I had two exactly the same until I noticed the difference on the front sheet. The recycled paper is very very slightly greyer than the non-recycled version, but not noticeable to the naked eye. I quite like the layout of the main part of the diary. It groups Saturday and Sunday together, which gives the 'working' week quite a bit of space for each day. It's only in English so there is plenty of room to write in each day. The diary also boasts over 350 events listed, they don't get in the way as you will see in the picture below. 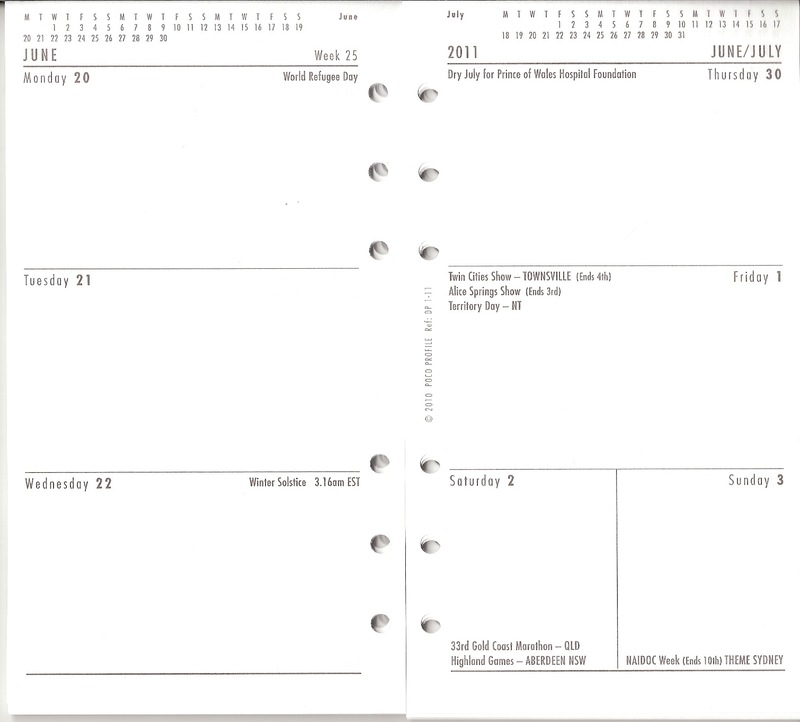 It also includes a monthly date calendar for the current and next month in the header to the pages. Another great set of pages are a year in month pages, for birthdays and anniversaries I guess, although you could use these pages for other uses. What public holidays occur in Australia on 14th March 2011, the winner will be the closest to the correct answer. But before you dive off to Google in search of the answer!! Go and take a look at the Poco Profile website and see their full range of organisers, refills and other leather goods. They offer delivery to overseas addresses at cost price. Overseas orders do not attract local sales taxes etc. See their On-line shop for full details. One of their own accessories I quite like is the 'Today' page marker with a sleeve for your own notes to be inserted. Their everyday pages are also very contemporary in design and will of course suit any Filofax Personal or Pocket organiser. Again thank you to Victoria at Poco Profile for the samples. I would love to hear your stories of how your Filofax has helped you reach your goals. As we all know, I'm always interested in goal-setting and methods for reaching goals, and I'd love to hear specifically how Filofax has helped you reach yours. Especially this time of year as we reflect back on the past year and prepare for the new one, it's fun to think of our accomplishments from this year and goals for next year. My best example of how my Filofax helped me reach a goal was definitely graduate school. My degree was interdepartmental (Geology and Biology) and it was a topic no one had studied at that school before (the origin of birds) so nobody knew exactly what my degree requirements should be regarding which classes I should take, the structure of my thesis etc. Once those things were determined, I wrote them into a special section in my Filofax that I saved until my degree was completed. As I completed each requirement, I recorded when it was completed and what my grade was. This was especially helpful when I was registering for classes, if one class was already full I could look at my list and register for a different class on my requirements list. Then near the end of my degree when my 3 advisers couldn't agree on what I needed to complete for graduation, I was able to remind them of what we originally agreed on and I had my record of what I had completed when. This proved to be very important! I think students often trust their advisers to know what their requirements should be, but all students need to remember that your degree is ultimately your responsibility and you need to keep track of your requirements. Right now in my Filofax I have a separate Goals section. I use blue lined paper in this section to make my goals stand out. I have a page for each Goals topic (Personal; Home; Financial etc.) and individual goals listed under the topic. Then I have a new page for each month for those goals or steps I want to specifically focus on that month. I keep my current month's goals directly behind the Notes tab so it's visible right at the front. At the end of the month I write my month-end review on the back of the page, and archive the page at the back of the Goals section so I have a record of my goals and accomplishments each month. Please post a comment to share your story, whether from this year or longer ago, of how your Filofax helped you reach a goal! Do you ever sit in front of your PC surfing the net looking for that elusive Filofax refill or accessory that you have seen a picture of on Flickr or you have heard someone mention? Sadly Filofax don't (yet) have have an international website that links all of their stock from all of their sites around the world back to one site. So you can find all the different types of diary refills in Week on Two pages in all the different languages and layouts, but without browsing all of their sites in all the various languages. Before you ask I'm not proposing building such a site myself! But it would be a great site if it existed. However, I'm sure between us we can bring together some of the things you have spotted on some of the international site that aren't mentioned on some of the 'obvious' ones. For instance Sharon mentioned on Twitter that she got some credit card wallets off the Filofax Sweden site for her Filofax Mini. They also sell natty name plates for your Filofax, although I'm not sure if you can fit 'This belongs to Steve Morton, keep your nose out!' on the tag. I've lost count of the number of times I've heard the comment, love the layout... pity it's not available in only English. 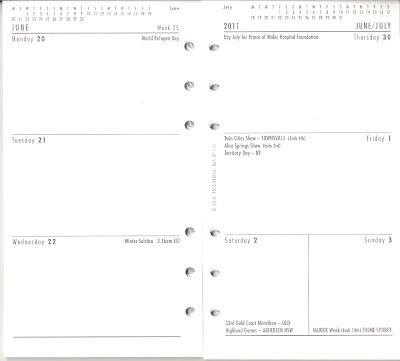 Again from the Filofax Sweden site a Week on Two Pages but with appointment times and notes space for each day. So if you have discovered something unique on one of the other Filofax International sites, drop it in to the comments. No not me... been there done that got the T Shirt... one move in 20+ years was enough for me thank you! Good luck with the move guys I hope all those boxes reach the destination in good shape and nothing goes missing. This week is one of the darkest of the year, in the Northern Hemisphere, anyway. A good time for quiet thinking and reflecting and thinking about the next new beginning. Or there may be a lot of hustle and bustle in your life right now. Is your Filofax a useful companion right now, or a project in need of overhaul? Thank you for all of your support in the last few months. We are running another Charity Awareness Month. From today until the end of January 2011 all commission earned from sales of all Filofax goods (Organisers, Refills, Bags, Pens etc) bought via Philofaxy at Filofax UK will be donated to the Breast Cancer Awareness Campaign in UK. To make sure your purchase counts towards the donation at the end of January all you have to do is come to Philofaxy, click on a Filofax ad anywhere you see one on the site and it will register your purchase. No matter how small your order is, all of them will count to our donation. Thank you. Those of you who wish to donate directly, please go to the campaigns website. If you are buying goods for Christmas get your orders in before 2:30pm on 20th December for delivery to you by 24 December. I arrived back in France a couple of hours ago to find this latest promotion from Filofax UK. I'm sure you have seen pictures of Lauries beautiful Deco... well now is your chance to own one at 50% off the previous list price. Click on the graphic below to see the full range. With less than two weeks to go until Christmas you would expect people to be busy busy busy with shopping and Christmas parties. You might think that they may be too busy to blog also people are probably using their Filofax organisers to the full to keep their busy lives fully organised and using every possible hour in the day. Well we might be close to Christmas, but there are still some great blog posts for you to read. We all know and have commented about the complication of using more than one Filofax organiser for keeping our life in check. I think most people would agree that keeping your appointments and tasks in sync in more than two organisers/planners becomes a difficult almost self-defeating task. So what other uses do you put your Filofax Organisers to apart from your main ones used for diary and contacts. I use my Slimline as my photography notebook for noting down information about pictures I take when touring around towns and villages here in France. I like this particular organiser in this particular role because it is so slim it fits in to my already crowded camera bag without too much trouble. I keep it in an external pocket in the lid of the bag so it is always to hand. It is the black item in the bottom right hand corner of the photo! I previously used it as my wallet/Filofax until I swapped over to the pocket size. 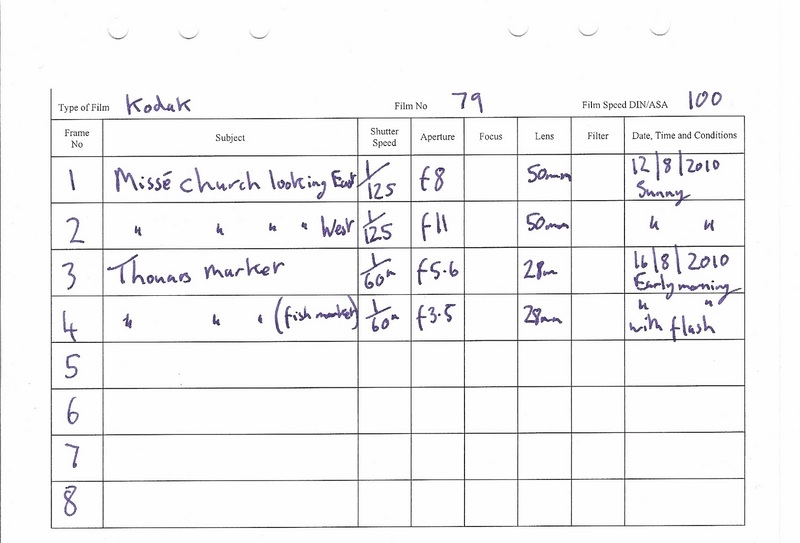 The Slimline has some personal size photo exposure sheets in it that I use to record what I record on my film camera, here is a sample page. 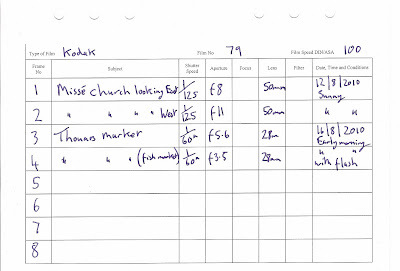 Film cameras don't record this detail that digital cameras record with each frame you take, hence the manual record. 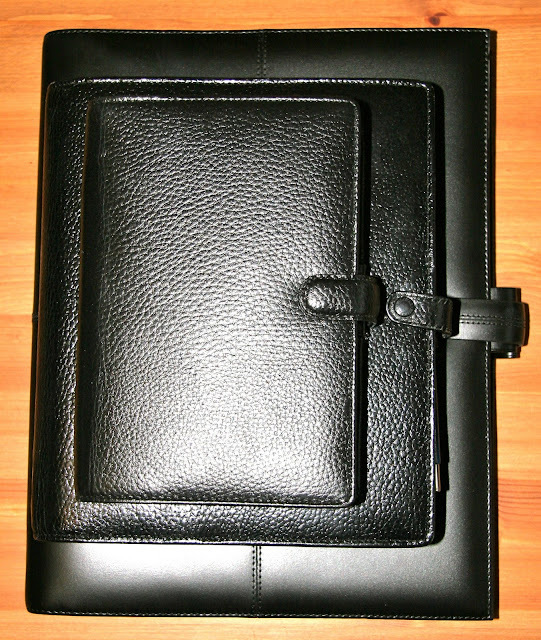 Another one of our readers Sharon has just started using her A5 City Filofax organiser as her Control Journal, I had to look at the 'FlyLady' website to fully understand the purpose of this journal. 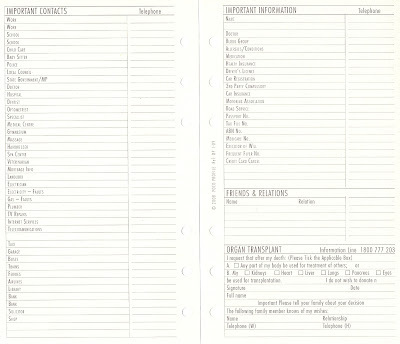 I know several of you use a Filofax to keep a track of your craft activities. Again Sharon has featured her Craftofax on her blog a few days ago. The 'Me' Fax idea that Kanalt blogged about a couple of months ago has also caught on, a few people have mentioned setting up their own 'Me' Faxes, so my prediction was right! But the post also highlighted other 'single use organisers' With people using them for recording their pets medical treatment, feeding habits etc. I've seen a couple of people that use a Filofax to track their goals typically 101 things in 1001 days. Karen has described her set up in a Filofax Domino. Of course a lot of these ideas could be incorporated in to your main Filofax, but if the pages you use start to multiple out of control it can sometimes be easier to hold the information in a separate organiser rather than over loading your main organiser. I'm sure I've only touched the surface of 'other uses' so if you have other uses for your Filofax and may be you have blogged about it on your own blog, add the address to the comments I'm sure we are all interested to read about it. 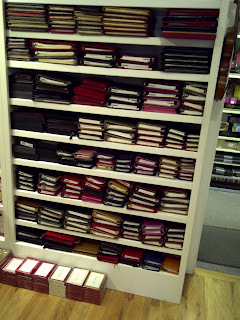 We have seen and reviewed many A5 Filofax Organisers over the years, they come in a variety of styles and colours. I'm sure most enthusiastic Philofaxers own one organiser in A5 size. But you can go bigger than A5, well in Europe at least. Sadly the A4 isn't sold in the US and you really are missing out folks. 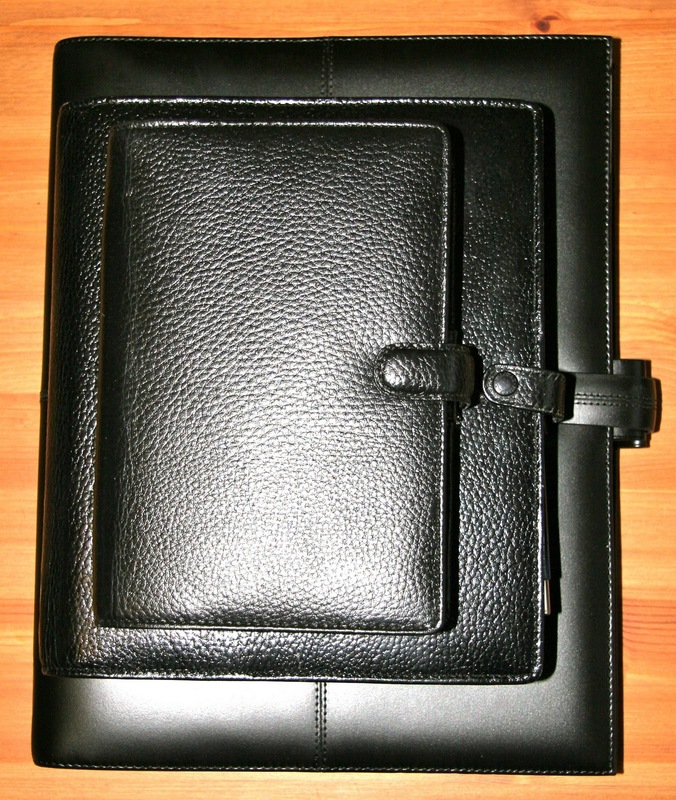 I proudly present to you my latest Filofax acquisition, (roll of drums) the Filofax Classic A4 Organiser..... in black Italian Leather. Yes it's the big one... paper size is 297 mm by 210 mm or put another way twice the size of an A5 (210 x 148 mm). And to show you the difference here is the A4 alongside my Finsbury A5. The A5 looks almost Personal size and the A4 like A5 in the above picture... but to show even more of a comparison. Here's the three together. 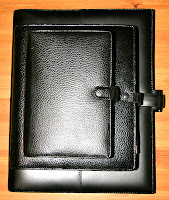 There is a sutle difference with the A4 compared to other Filofax organisers, it doesn't use the 3 + 3 ring combination. Instead it is just a standard 4 ring organiser with the rings spaced at 80mm apart. So stationary and punches are cheap as chips. I bought a 4 hole punch in my local supermarket for €10, it is of metal construction and should serve me for a few years. Paper is also available off the shelf in most stores. The inside cover has 6 card slots, a 3.5 diskette slot (how quaint!) and a CD slot, as well as a full height pocket behind the slots. There are two pen loops, one on the front cover and one on the back. As you will see in the pictures below, the standard fill it comes with size is just like any other size... but everything is just bigger and has lots of space to write things in. They haven't attempted to add more lines in just give you more space to write in instead. And the rings don't get in the way at all. 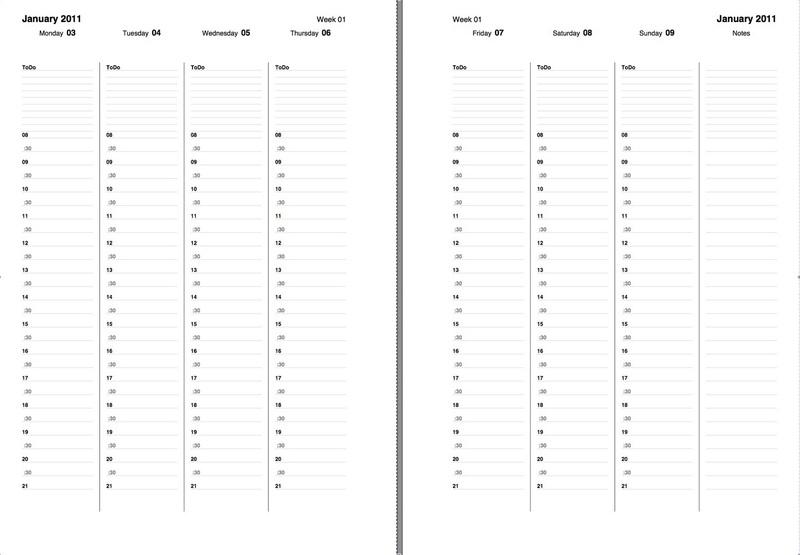 A two page per week in vertical format came with the organiser, as you can see plenty of room for appointments and notes/to-dos each weekday. It's in multi-language format but that doesn't waste too much space on this size of page! The address pages give you plenty of space for 4 or 5 phone numbers in addition to Name, Contact, Address and Email Address. The inclusion of contact I suppose shows that it's intended for business use. The To-do page is a slightly different format to others I have seen, two lines per item, so plenty of room to write quite detailed descriptions, I often struggle to work out some of my slightly cryptic notes in my other to-do lists! Very detailed expenses pages, something I'm not a frequent user of at present. Some ordinary ruled note pages. Inside the back cover there is a A4 writing pad. I will adding some plain paper for sketches and drawings, as well as some reference information I have in my A5 but it will be printed full size rather than reduced size. So you must be wondering....why??? Well I have my reasons for buying this organiser.. please note the word 'excuse' was not used...!! When I wrote a post about the A4 size back in September, I wasn't trying to justify purchasing one myself at the time, I was just exploring how that size would work for me and others. After that was posted I heard of at least one Philofaxer trying out the A4 for her work organiser and she loved the fact that she could print things off without fiddling around with booklet printing and cutting pages, it was print, punch, place in organiser.. job done. So my post had convinced one person. In our what size do you own poll in November last year, the A4 only got two votes out of the 164 cast! When I saw an A4 at the Neal Street Store the other week, I suspect it was a reminder and it got me thinking again. 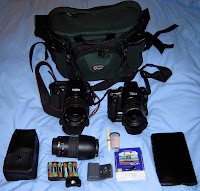 Another reason for buying the A4 was to own one to try it out and to share the experience with you the readers, I think to add credibility to any post about this size you have had to had owned one and used it, and the same goes for any size I suppose. So I guess it was a fore (pun intended!) gone conclusion that I would buy one this size eventually. Am I actually going to use this one? I think so, it fits the space on my desk to my left normally occupied by my A5 so I will be giving it a try that's for sure in the New Year. Since ordering it I've found some very nice diary templates on line too! One amusing idea that I've not tried with the A4 yet. You might recall my lesson in origami on how to fold an A3 printed map in to an A5 organiser. Well A3 will fold in to A4 very easily in the same way that A4 folds in to an A5 organiser... but how about A2 in to A4... truly huge!! A2 is 594 x 420 mm, the size often used for building plans! Not something I will have a need for, or a printer to print that size. So far I've not said anything negative, which you might find a little false. Yes the A4 is big but not that bulky, it has 25 mm rings, where as my A5 Finsbury is fitted with 30 mm, I will get the scales out to compare the weight once I've added a few more of my own pages, the comparison wouldn't be valid at the moment. 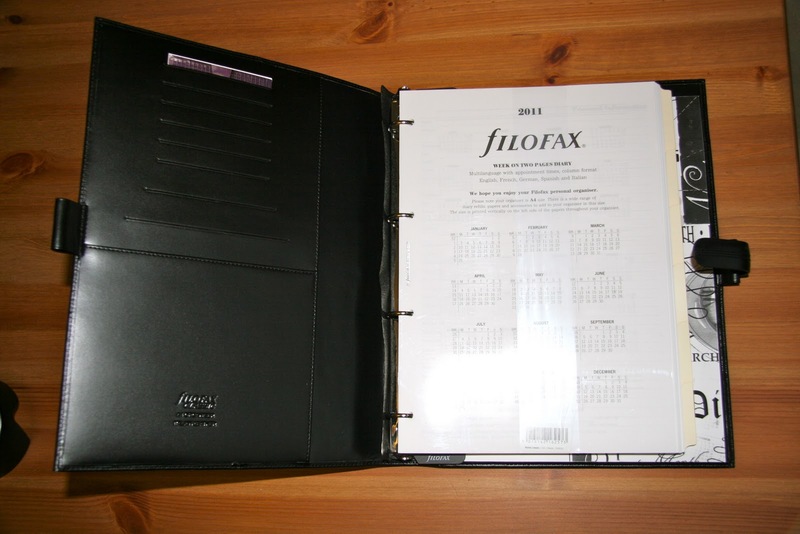 The number of pages available for the A4 from Filofax is a little limited which for some people might be a downside. But given the ease of being able to print off your own pages for this size then this limitation isn't so much of a problem. I will give an honest up date on the A4 once I've had a chance to use it for a few weeks. Yes the Classic is quite expensive to buy, but there are cheaper A4's in the range. I love the detail in the finish of the Classic and I would love this model in smaller sizes too! I look forward to reading your comments, good or bad.. !! What format or size for 2011? Free For All Friday No 107.